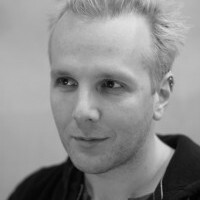 Dr. Mata Haggis-Burridge (née Haggis) is an award-winning game designer and writer with experience of both AAA and indie development, including ‘Burnout Paradise’ and ‘Aliens Versus Predator’ (2010). He is the Professor of Creative and Entertainment Games at NHTV: Breda University of Applied Sciences, as well as the owner of the narrative and game design consultancy Copper Stone Sea. He has spoken regarding game design, diversity, and narrative design at numerous international events, including multiple GDC conferences and TEDxDelft. 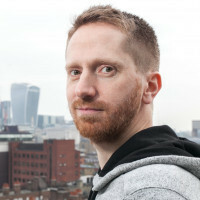 Mata has been developing games for over 15 years and recently released ‘Fragments of Him’, People's Choice winner at Develop: Brighton in 2016. He is working on a new unannounced commercial title and several international research projects. In this 2 hour workshop, attendees will make a paper prototype of an action-based combat game. After a short introduction, they will develop their own twist on an urban zombie shooter. Their prototype will allow them to balance movement and combat rule-sets, as well as gain insight into potential AI behaviours and weapon systems, all without a single line of code. Ideas will be shared for prototyping time-sensitive reactions, tracking statistics, and other fast methods of finding the fun in a concept. Game designers will learn practical methods for rapid prototyping of game systems. These will help you improve your designs, and increase your ability to communicate them to your team.